Jackson’s favorite breakfast is oatmeal. He eats a bowl every single morning. 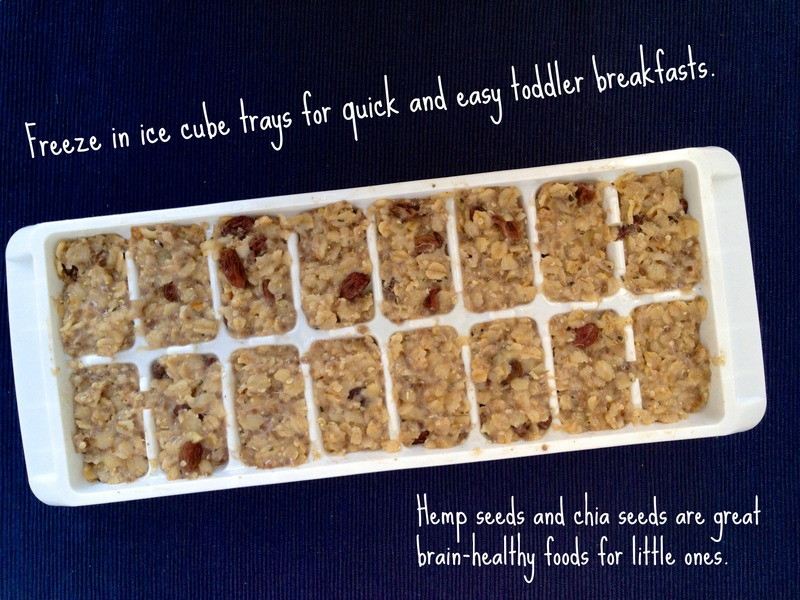 To save time, I make a big batch with thick-cut rolled oats, chia seeds, hemp seeds, raisins, cinnamon, and bananas every week, then freeze it in ice cube trays. In the mornings, all I have to do is heat up three or four cubes of frozen oatmeal with one cube of frozen full fat coconut milk (I always freeze extras when making a recipe that calls for less than a can). 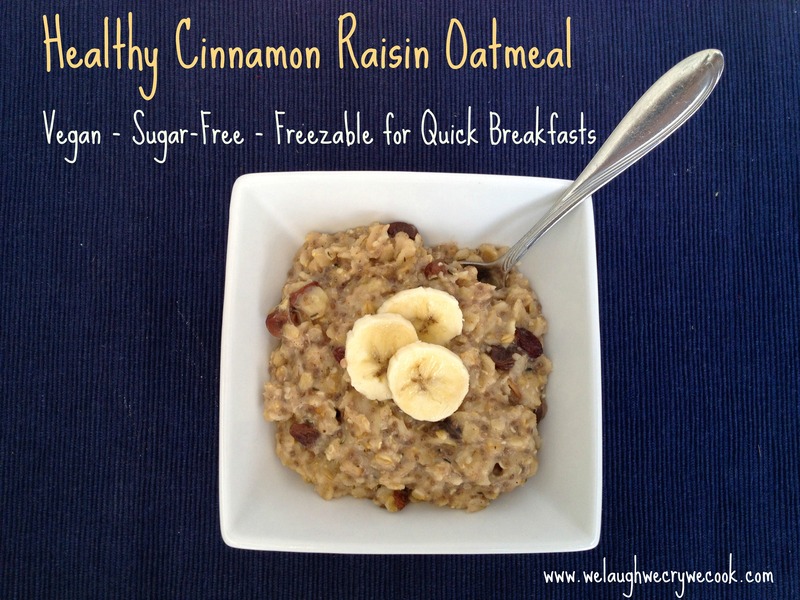 Sometimes I add blueberries, apples, leftover baked sweet potatoes, canned pumpkin, or shredded carrots to the oatmeal, but this cinnamon raisin version is so simple and it requires no chopping or preparation at all, so I make it most often. I feel a little bad that I’ve never made him pancakes or waffles, yet I figure, why change a good (and healthy) thing? Most mornings I don’t have time to have a battle of wills or to keep trying different things until I find something he’ll eat. For months, he has had oatmeal for breakfast and he has never turned his nose at it. This little routine keeps our mornings peaceful, at least long enough for me to have my first cup of coffee. 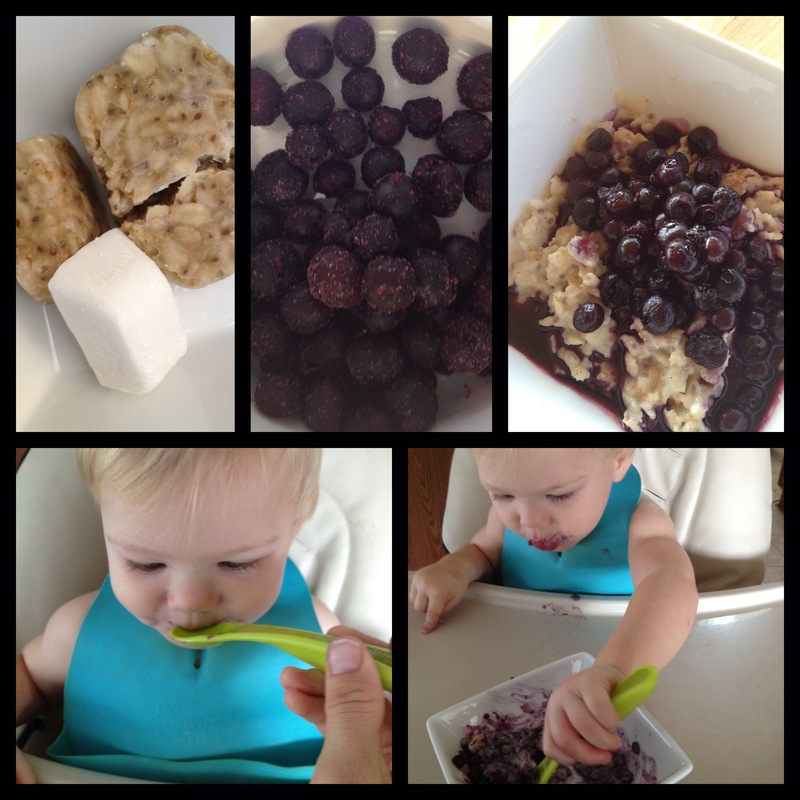 Full of healthy omegas, sweetened with fruit, this oatmeal is delicious and healthy for kids and adults alike. In a large sauce pan, bring water, milk, and salt to a low boil. Watch closely or you’ll have a great big mess if it boils over. (Don’t ask me how I know this.) Reduce heat to med-low and add all the remaining ingredients. Cook on med-low to low for about 1o minutes or until all the liquid is just absorbed. Stir occasionally. Serve immediately or freeze for later. I made this batch this morning and served Jared, Jackson, and myself a bowl. What was left filled 1 1/2 ice cube trays (about 24 cubes). Just scoop it onto the tray and with a spoon or spatula, spread it out evenly among the cubes, pressing down gently to make sure it’s packed firmly. Cover tightly with plastic wrap and freeze. Once frozen, pop out and transfer to freezer bags. 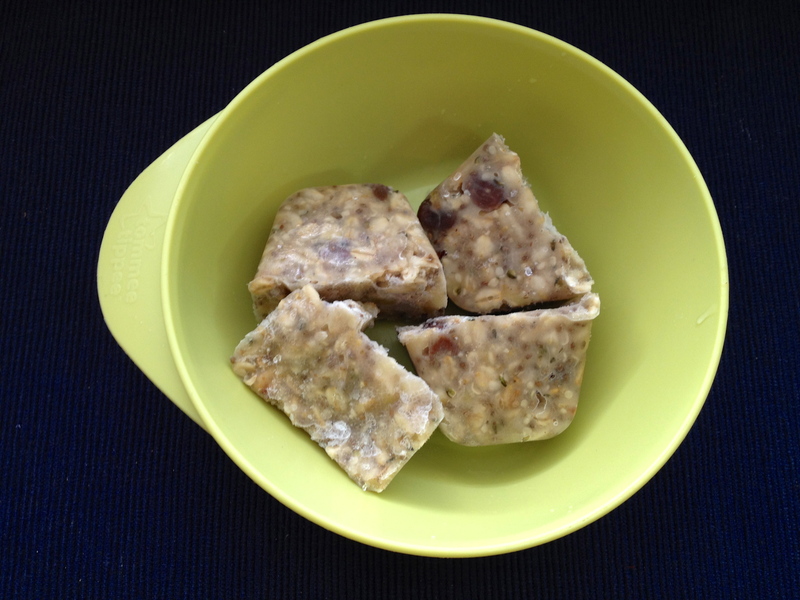 I usually heat 3-4 cubes of oatmeal with a cube of frozen full fat coconut milk for 60 seconds. Stir and then heat again for about 30 seconds. With my microwave, this is a perfect temp for my one-year old. Reheat times will vary though. If it’s dry, stir in a little milk of your choice. 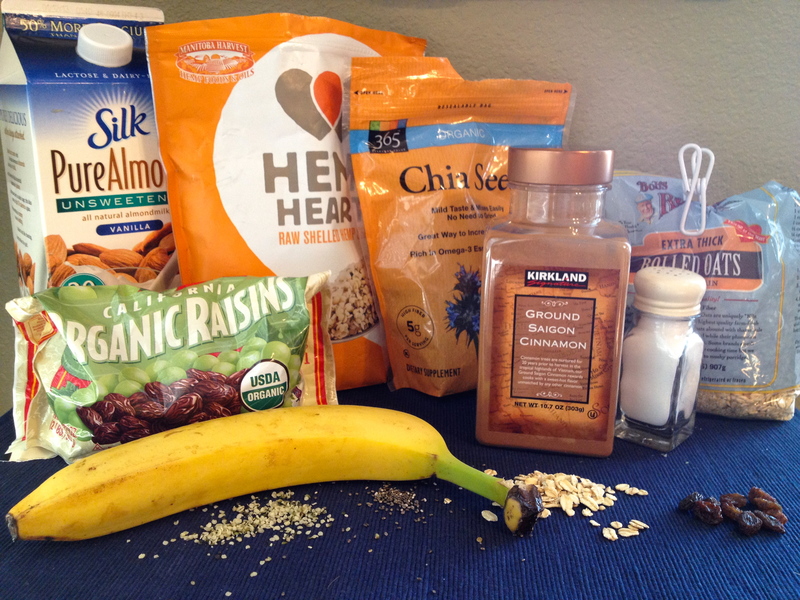 Toddler breakfast ready in 90 seconds. I usually add a cube of full fat coconut milk to his too, but I used my last cube yesterday. 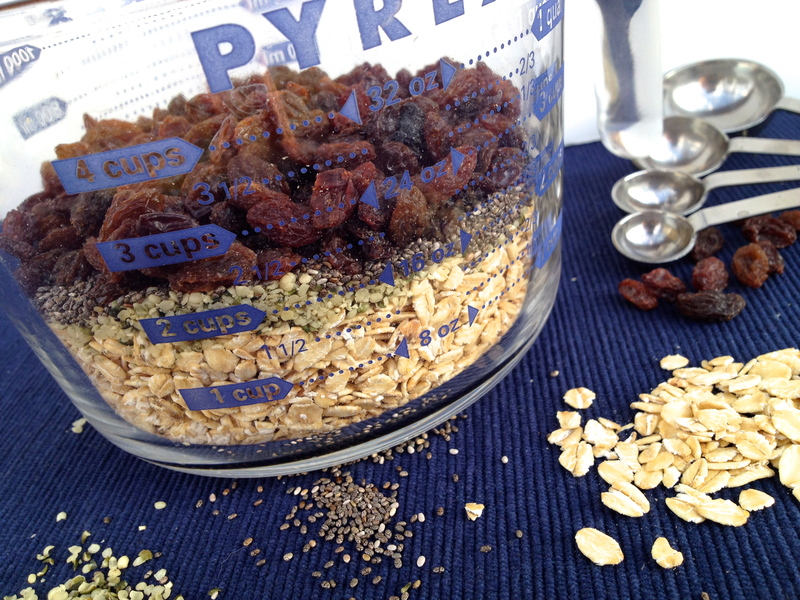 Leave out the raisins and add blueberries for a delicious fruity version. Jackson loves this, but it’s a little messier, so I just do it when I have time to sit and help him eat. I made this recipe this morn, didn’t have banana though boo!! 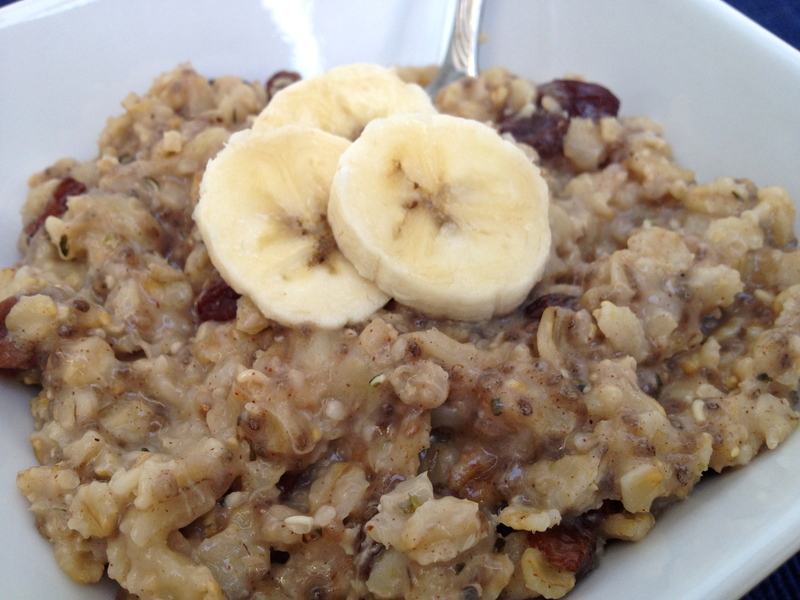 I have steel cut oats, couldi use those next time?